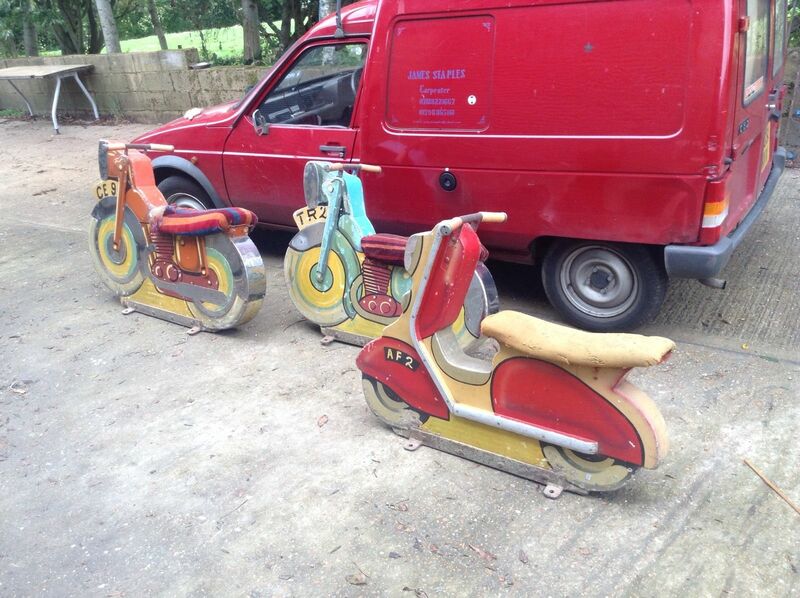 A cute set of three bikes, one of them clearly based on a Lambretta, from a 1960’s fairgorund roundabout. Some scrapes and knocks, so if ‘it’s gotta be perfect’ maybe not for you (see what I did there?) but you might think, for a bit of period fairground memorabilia for £875, (for all three) ‘It’s gotta be worth it’. Check them out on eBay here. This entry was posted in Ephemera, For Sale, Not a Lambretta and tagged 1960s, Carousel, eBay, ephemera, Fairground, Merry-go-round, motorcycle, Roundabout by crocodilejock. Bookmark the permalink.